The best thing is coming up on Trail Magic. A hot dog or a hamburger, or even a coke. Ahhhh, it is so nice. 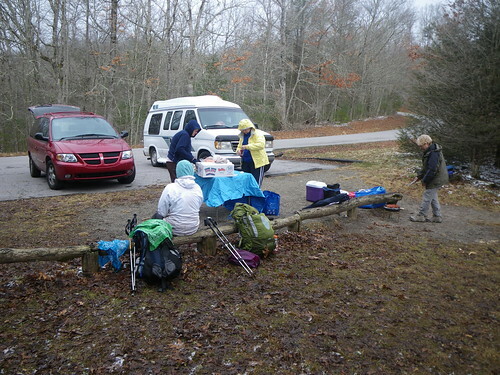 These ladies were our first Trail Magic…hot dogs right after breakfast. 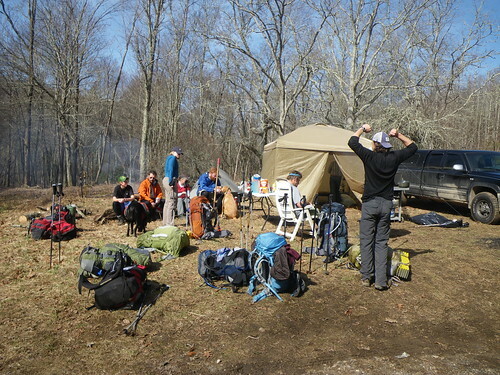 Don’t pass up any Trail Magic! Ahh…the joy of the simple things. Meals taste the best when you’ve been hiking miles huh Misti? Trail Magic? …..do you guys still think you’ll be in the Harper’s Ferry or Harrisburg area in June?